I’ve been in the Philippines 7 weeks now. Saturday starts my last week here. Last Sunday F.B. & I stayed 5 days 4 nights at the Best Western Astor Hotel in Makati City. 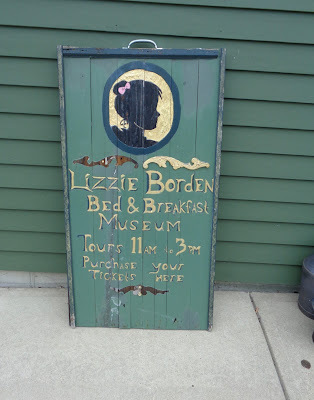 We’ve stayed there every year I’ve visited. We didn’t really take too many pictures during our stay. I was recovering from a cold and so was F.B. so the first 2 days we just stayed in at the hotel and rested and relaxed. There was a 24 hour Wendy’s across the street from the hotel so F.B. went out and got take out one night for our dinner. We did get to check out Glorietta Mall and Greenbelt. We got to explore Greenbelt 5, which is a new addition. And we finally had dinner at Chili’s, which was superb! Also Robinson’s Manila which is one of my other new favorite malls now, besides Robinson’s Galleria! While out driving the one day we saw the neatest coincidence. There was a car and a bus in traffic ahead of us. The beginning of the car’s license plate was: NEO. The bus company was called: Genesis. For those of you not familiar with the beginning history of our relationship, F.B.’s user name on the forum we met on was “Neo-Genesis”. We thought it was really neat the car and bus were aligned in that way! While at Robinson’s Galleria one day we finally got to try the Pizza in a Cone stand! It’s a neat snack type food. It reminded me a little of a ‘Hot Pocket’, but way better because the cone was actual pizza crust and inside was cheese and meat. I had a pepperoni pizza cone and F.B. had one with sausage, pepperoni and mushrooms. Definitely recommend ‘Pizza in a Cone’ if you’re looking for a yummy snack! When we got back from our Makati City stay, we found F.B.’s door to his room had been vandalized, lol! My name is permanently on his bedroom door now, bwahahaha! F’s aunt also got me this cute mouse/rat tote purse. I’m getting quite a collection of mouse/rat collectibles here in the Philippines! 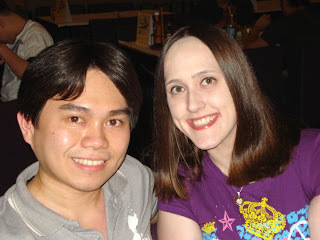 This past Sunday we went to Mall of Asia and had dinner at ‘Burgoo’. It was something new to try. It’s sort of like a Friday’s or a Chili’s. And around the same price too. Though definitely not as good as Chili’s! I had blackened salmon & a pina colada; and F.B. had country style pork chops. The tablecloths there are paper and they give you crayon’s to draw with while you wait for your food. You can see our lovely artwork below, lol! Of course Tuesday we picked up our marriage certificate and you can read about that debacle here! I found these neat toothbrushes at Robinson’s Galleria in the supermarket. I guess they are like “best friend” toothbrushes. There’s a heart and it separates so each toothbrush has a half. Anyway it was an impulse buy because I thought they were cute. F.B. and I are going to take them when we stay at Manila Hotel for our 1st month of being married and use them, lol! We’re so corny! I also found this bag of limited edition orange flavored M&M’s! I think they were made in Hong Kong. But it also lists Malaysia, Singapore and Australia on the back of the package. They were pretty good. Orange flavored chocolate. It reminded me of the Chocolate Orange my family used to get at Christmastime. F.B. got me a “Louis Vuitton” wallet to match the purse he got me last month. Love it! 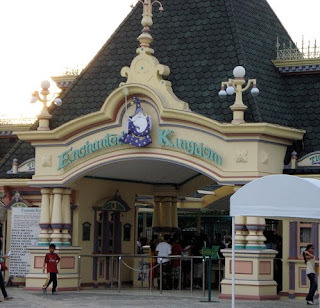 Thursday we headed off to Enchanted Kingdom Amusement Park. We went last year, but we got lost on the way and it started raining so we didn’t get to ride many rides. This year we left the house around 10am and arrived up in Tagaytay around 12pm. We stopped to check out Taal Volcano for a little while. The weather was really windy and very cool (cold) for the Philippines! Pictures of Taal Volcano up in Tagaytay. We had lunch at Chow King after checking out the volcano. 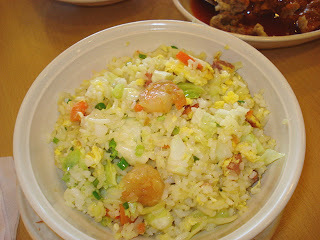 We had fried rice called ‘Yang Chow’ and these neat pastry things filled with meat called: ‘Siopao’. They are about as big as a burger. The bread or pastry part is white and really soft and chewy and there was shredded pork meat inside. They are so yummy! The lines for the most of the rides inside the park were not that long. We stayed almost 4 hours at the park and got to go on 7 rides. We rode a small roller coaster, the swinging ship. Then I begged F.B. to let me ride the biggest roller coaster in the park. He said he had been on it before with his cousins and it always left him dizzy for the whole day, but I still begged so he agreed to accompany me on it. It was a pretty intense coaster. It starts off going the right way and goes around in loops then it takes you completely backwards on the loops. Needless to say afterwards I had a fierce headache and yes F was dizzy. We got something to drink and sat for awhile after that coaster. F.B. feeling dizzy after ‘Space Shuttle Max’. Later we got to go on the Ferris Wheel but it was really windy up there, I had to hold onto my hat when it started going around. See how dorky we look?! Why was it 4D? Well… the seats moved on that ride too, but also there were these things in front of all the seats- so that when there was air or water in the film- you actually got misted with water or blown with cold air. It was pretty neat, but I certainly wasn’t expecting to get wet during a movie! The last ride we went on was those old fashioned swings that spin you in the air. The park closed at 7pm and we left around 6:30pm. On the way back home we stopped at a rest stop and had Cinnabon and Starbucks. It was around 9pm when we got back to Cainta. We had dinner at the 24 hour Burger King. Whoppers, Onion Rings & Chicken Tenders. We had a really nice day out. To check out last years trip to Tagaytay & Enchanted Kingdom click here! Sunday we’ll be checking into the Manila Hotel for 4 days 3 nights. We have a coupon for discounted rates so we decided to go there for our 1 month anniversary of being married on January 19th. I think we are also going to go to Saisaki Buffet on our anniversary. Of course next Saturday I’ll be going home, I’ll be leaving the Philippines around 12:30pm. I won’t be arriving in Philadelphia though until Sunday around 12:30am. It’s going to be a long day of traveling. I’m trying not to think about it. After I get back home, I start work on January 27th. I also have to contact our lawyer so we can begin our immigration process. I think everyone that’s been reading my blog knows, that we are taking a year off traveling in 2010, so we can save money and work on our immigration process. I also have to get a new passport and change my last name at a million places. We are planning on F.B. visiting me in the USA around Sept-Dec 2011. I know that’s a little over a year, but since I’m seasonal at the Dept. of the Treasury, I’m not usually working around then and I would want to spend as much time with him as I could. Those are our plans for now, they may change, who knows. We’ve been doing this long distance thing for almost 6 years now and we still have at least 1-2 more years to go, while doing immigration. At least we are getting closer to the end, now that we are finally married! Keep an eye on my blog. I will be doing a giveaway of some Philippine Souvenirs once I’m back in the USA, and I’m also planning on doing a snack blog of some of the snack foods I’ve tried while here in the Philippines!